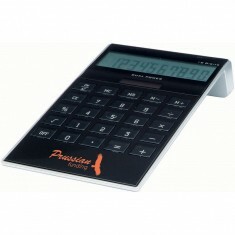 For anyone mathematically challenged, or working with a lot of numbers, a personalised Desk Calculator is a must have. 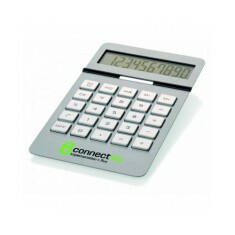 Our Promotional Desk Calculators are sure to have pride of place on any desk, making your brand last longer. 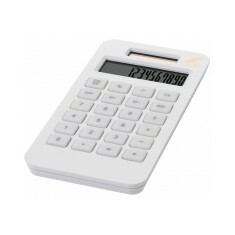 We have a huge range of custom printed desk calculators available to suit any branding needs, right up to full colour prints for maximum branding potential. 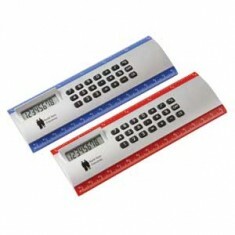 If you’re looking for something extra, we have a variety of handy 2 in 1 versions items, such as rulers, mousemats and even a pen set! 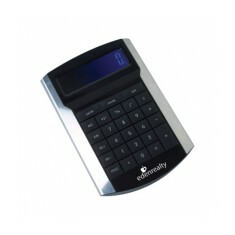 From schools to offices, we have a variety of branded desk calculators so suit any environment and budget. 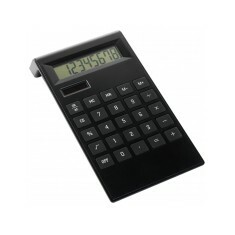 Calculators are a fantastically handy product that are always being used, and are a great personalised item for schools and offices. 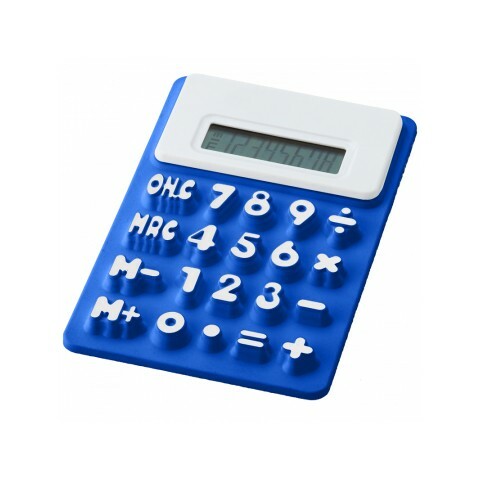 From fun options such as our custom printed Splitz Flexible Calculator made from silicone which is perfect for schools to the stylish branded York Calculator that would look at home on any desk. 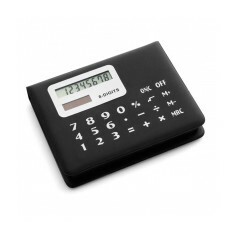 Branded desk calculators are an essential for any desk for adding everything from company expenses to figuring out your weekly spend on take away coffee! 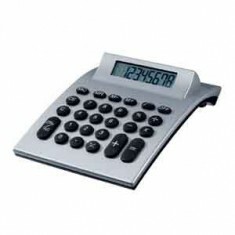 If you need to test the quality of our promotional desk calculators, give our sales team a call to arrange a sample. 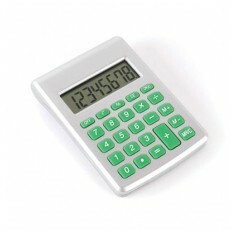 Flexible silicone material. 5 different colours. 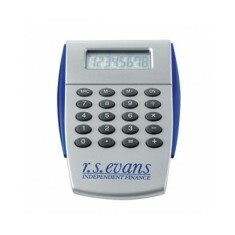 Fun branded alternative to traditional ones. Rubber grip. 6 translucent colours. 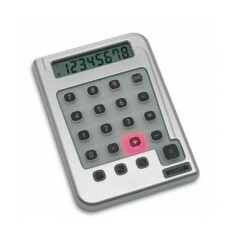 Button cell batteries included. Compact size. 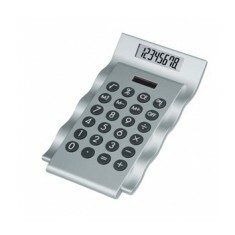 8 digit display. Individually boxed. Batteries included. 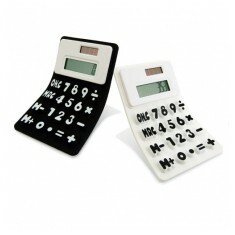 Small 8 digit calculator with clip on backside for easy co.. 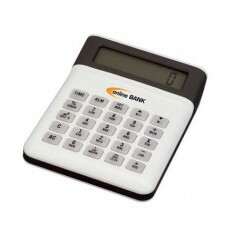 Stylish translucent plastic with solid coloured trim. 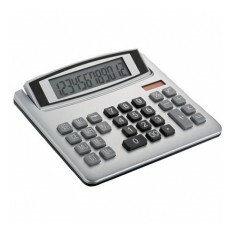 Exce..
Budget priced calculator. 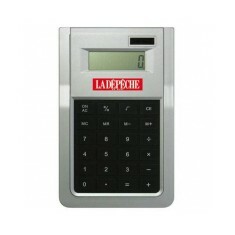 Button cell battery included. 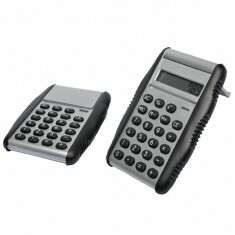 Dual powered calculator in wave design. 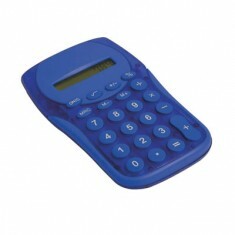 8 digit plastic calculator available with Red, Blue or Nat..
3 colour choices. 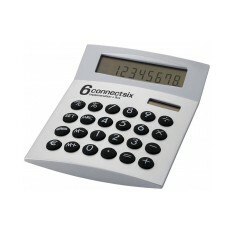 8 digital display. Auto opening lid. Excellent customisation area. 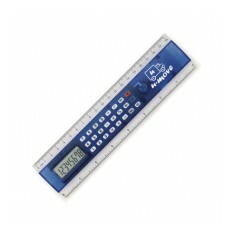 15cms/6" ruler with standard calculator functions. 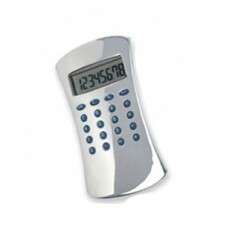 Button ..
Ergo friendly 8 digit with battery included. 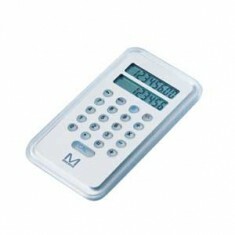 Choice of bla..
Multi-function compact calculator complete with 2 ballpoin.. 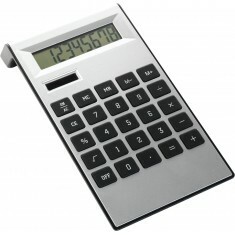 Built in calculator. 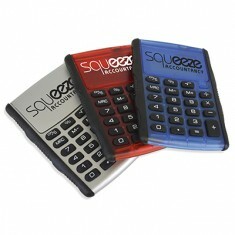 3 colour choices. UK stocked. 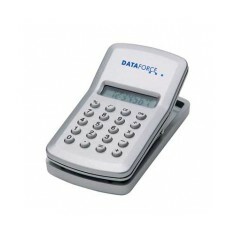 Ideal for schools & workplaces. 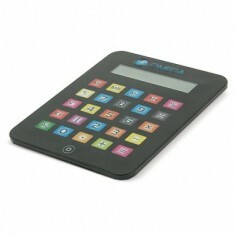 Quirky calculator with a see through finish, that is custo..
Save valuable desk space with our 2-in-1 custom printed Ca..
Be prepared for sums and equations with our custom printed..
Keep on top of figures with our custom printed Desk Calcul..
Great value four function calculator with a generous print area. The lid flips.. 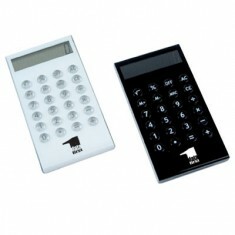 Plastic case holding two fifty sheet memo pads and eight s.. 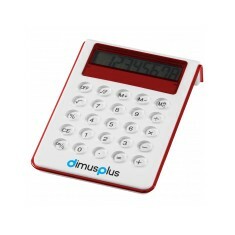 Unique 8 digit calculator with coloured keys. 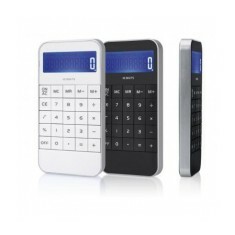 Operates by ..
Silicone calculator with flexible keypad, available in blu..
A chunky flexible silicon 3D style magnetic solar powered ..
Silicon cool looking 8 digit calculators. 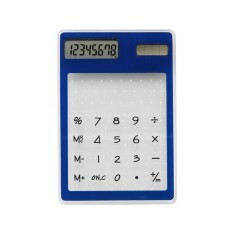 Colourful and so..
A slim pocket sized calculator, featuring double display a.. 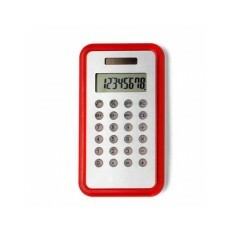 Unique calculator with maze game on reverse. 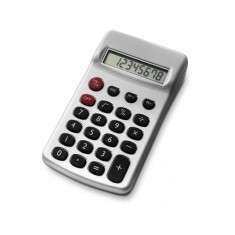 Powered by solar panel or included batteries this 8 digit calculator, with cur.. 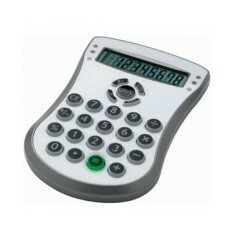 Supplied with batteries & has solar power function. 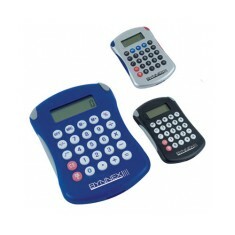 Printed up to 4 spot colours. 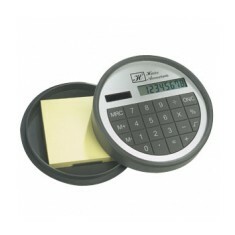 Circular calculator with large rubberised keys and trim. 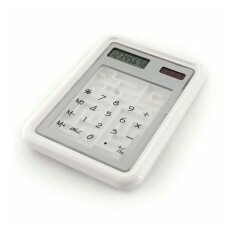 T..
Large plastic desktop calculator with on/off sound function. 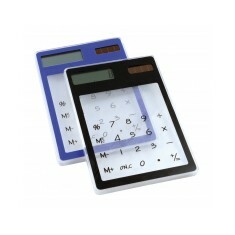 8-digit display s..
8 digit dual powered desk calculator. 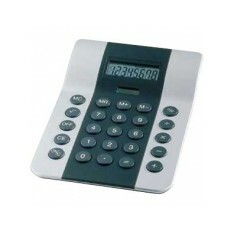 Superb item for any desk at a great value price. 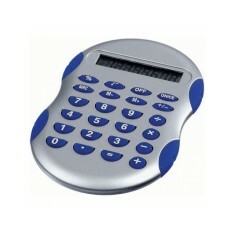 Removable calculator. 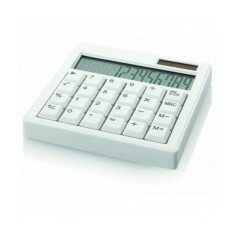 Flat top to sit below keyboard comfortably. Printed to mat. 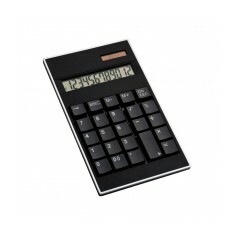 This calculator is the perfect product for any finance com..
Dual power desk calculator comes in a simple black silicon..
8 digit calculator with key light, lights up by pressing t..
8 digit dual power calculator, battery incl. 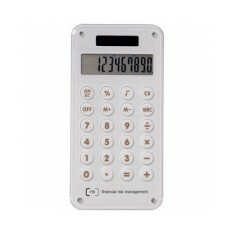 12 digit solar calculator with easy touch type keys. 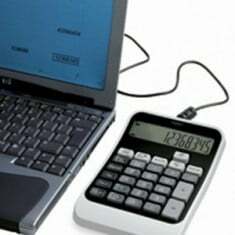 Displ..
10 digit dual power desk calculator with generous print ar..
For cool and sleek addition to your office or workspace, o..
Dual powered calculator with 8 digit display. Keys illuminate when pressed. Gift boxed. 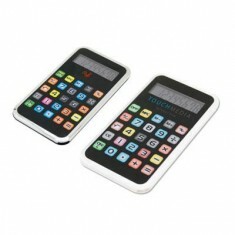 New trendy calculator with large colour touch screen butto..
10 digit display dual powered desk calculator. Gift Boxed. 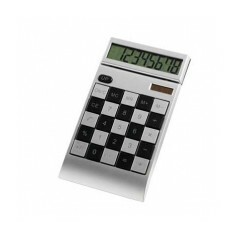 Elegant battery operated silver plated calculator with blu..
8 digit display. Solar powered. 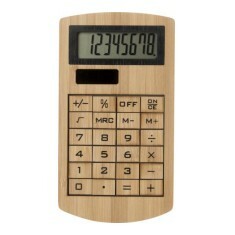 Natural bamboo material. Printed to the top. 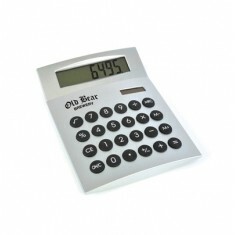 Keep this handy custom printed Aluminium Calculator by you.. 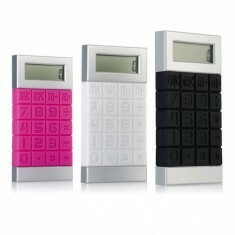 Fashionable high gloss calculator available in black or wh..
Blue LED screen. 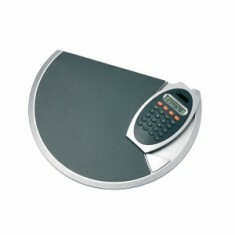 Stainless steel & high gloss black finish. Branded to the front. 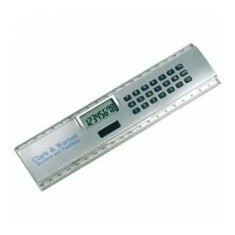 Head straight to the top of the class with our custom printed Casio Scientific.. 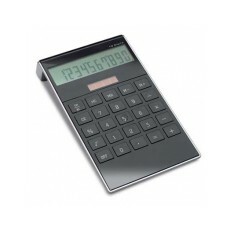 Desk calculator with 4 port usb hub to its rear. 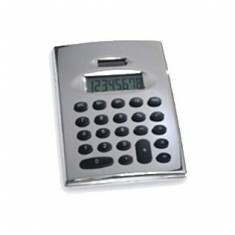 Built-in ..
Large display solar powered silver plated desk calculator .. 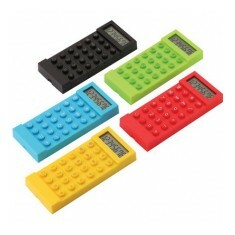 Bright, modern funky colours with rubber keys. 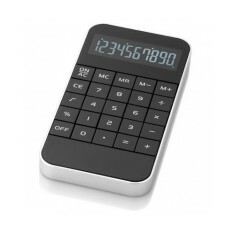 Neat and compact. 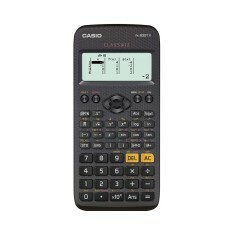 Button cell b.. 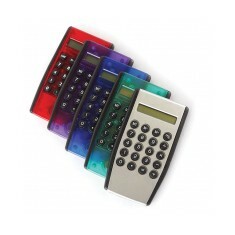 Plastic pocket size 10-digit calculator with LED backlight..
3 colour choices. Customised to the front. Batteries included. Plastic material.